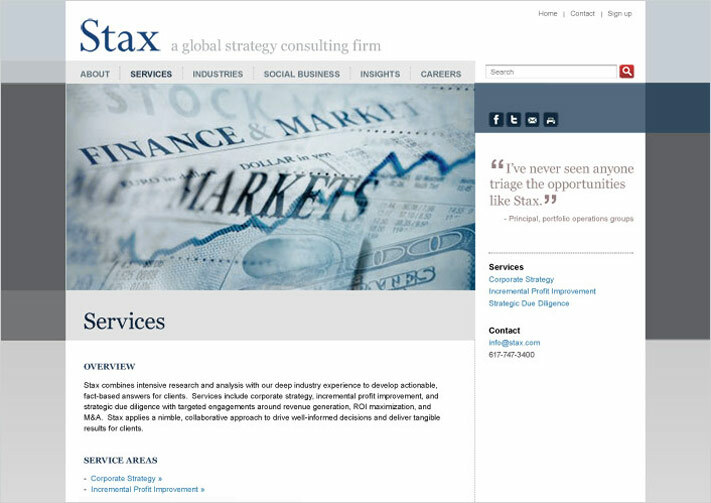 Stax is a global strategy consulting firm, with an international clientele and a well-defined set of proficiencies in private equity due diligence and corporate strategy. 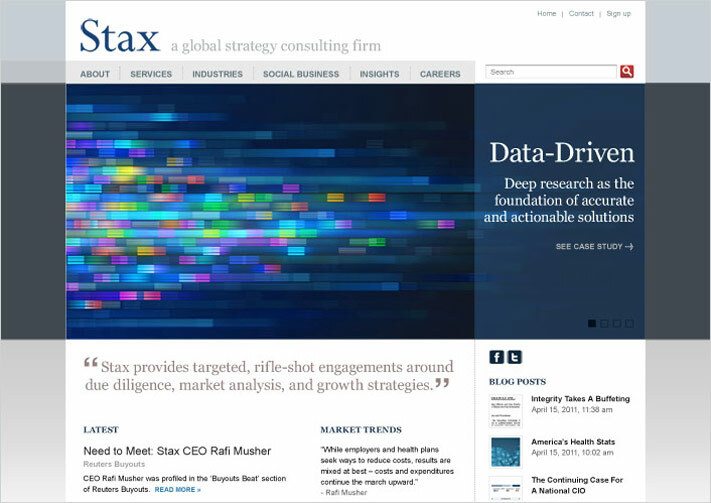 Stax hired Cabengo to re-develop its current, dated website into a more effective marketing and information resource that would enhance the firm’s reputation among clients and prospects, help directors in their sales efforts, recruit talent, and showcase Stax’s thought leadership across multiple industry verticals. Cabengo worked closely with the client team to define business goals and user needs as well as articulate the firm’s positioning, messages, and key differentiators in the context of competitors. We prioritized target users and developed user stories to help articulate how target users would interact with the site and how the site could support their goals. 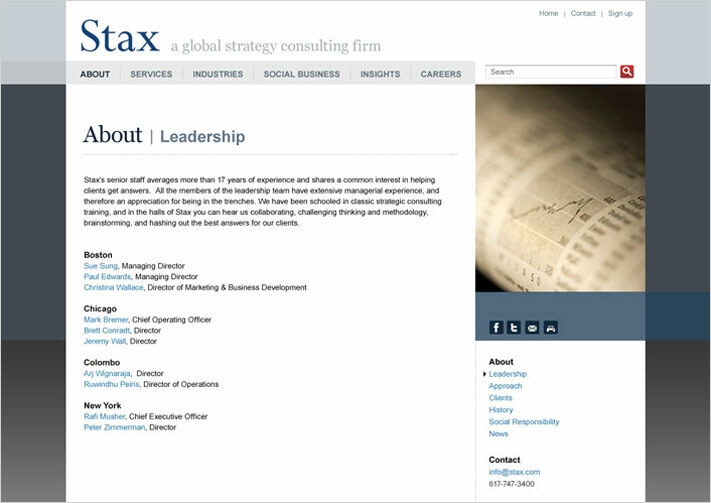 We then translated high-level strategy into specific requirements for content and functionality. Based on specifications, we developed a logical architecture and advised on content. Cabengo created a crisp, clean interface for the public frontend, including an updated wordmark. To promote long-term design integrity, we created a series of flexible interior templates with pre-defined image sizes. To ensure consistency across media, we developed a suite of integrated marketing materials for print and digital collateral. We implemented the site using WordPress as the CMS.